The 21st Century Global Renaissance!!! Africa has so much meaning for humanity and particularly for African descendants spread throguhout every corner of our globe. Africa though, is a complex continent for many to comprehend, with a complicated history, burdened by mis characterization, prejudice and exploitation. In 2003, I was fortunate enough to travel to Africa as a student learning about Human Rights. It was a journey that had many meanings for me. On one hand it meant reconnecting with the land and the people on the continent where my father’s descendants lived. It also meant being actively connected with young people struggling for progress in their respective nations in the spirit of Pan Africanism. Lastly, it meant an incredible summer as a 20 year old fortunate enough to have the opportunity to travel abroad for the first time. I remember watching a scene in the movie, Belly, where Nas’ character, Sincere, announces to his friends that “I’m going to Africa!” In this scene he explains how he is getting his life together, moving away from his past lifestlye and reconnecting with his roots and his motherland. Personally, I have always felt this type of affinity and connection with Africa. I am sure that being raised by a Pan-Africanist father has a little something to do with that. 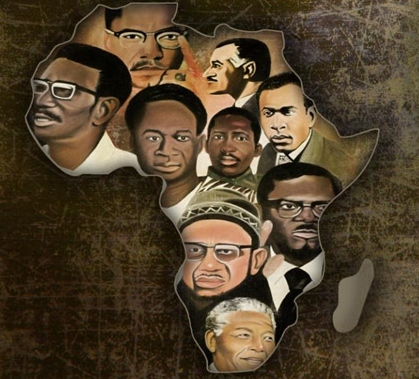 Anyway, Africa is a complicated continent and it is important that people of the African Diaspora in particular become knowledgeable about Africa’s history ancient and more importantly the history colonization and decolonization. This documentary published by Al-Jazerra English effectively provides a snapshot of Africa’s experience with colonization and its sturggle for decolonization. The film highlights the glorious period of the fall of colonization, the subsequent failed governments, the coups and the modern struggle with the exploitation of neocolonialism. If you are interested in learning more about the current state of Africa, I would suggest that you begin by learning which countries were colonized by which European nations. Then I would begin meeting different people from the continent and discussing some of their history with them. When did your country get Independence (be careful though Ethiopia was never colonized)? Who are your famous leaders? What are some of the major ethnic groups in your nation? What is the name of your capital city? Many times growing up in the inner-city environments we are surrounded by people who have recently immigrated from Africa. Often times its the classmate, the sister braiding hair or the brother driving a cab that can help us learn more about Africa. We just need to take the initiative and ask. I am sure that if we can work to avoid judging, keep an open mind and sincerely try to learn, our questions will be appreciated and our knowledge will increase. It is my hope that you are or will be inspired by Africa, the great continent, the cradle of humanity, the wounded land, the hopeful l. Hope you enjoy, share and comment. Such a rich reflection about culture and family and the importance of connecting the two, of knowing the power of both in our lives. So often the richness of Africa gets buried in the “problems” we hear about on that vast continent. Thanks for a fresher look at this land and its people. Wonderful and rich article of historical reflection and future promise! Looking forward to reading more and more and more….thank you for your well written and thoughtful insights. League of EXTRAordinary Black Men interview with me!